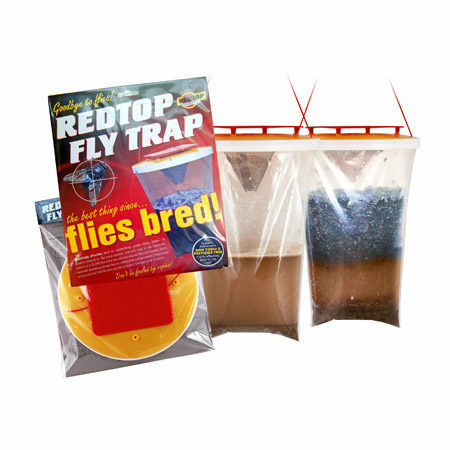 Horse Fly and Midge Control Products | Horse Fly Repellent Sprays, Wipes And Shampoos. 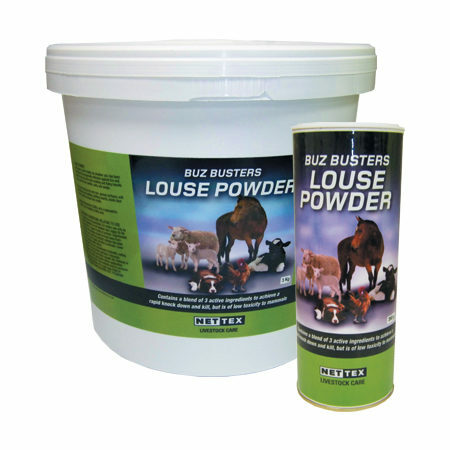 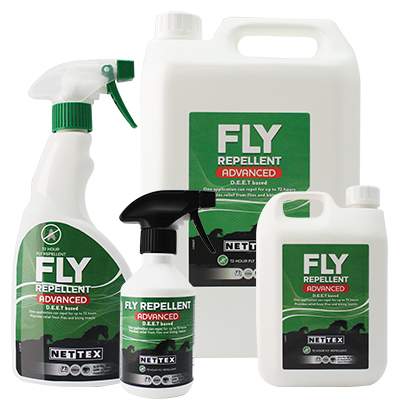 Our range of horse fly and midge control products designed to keep those nuisance insects away including Fly Repellent Sprays, Wipes and Shampoos. 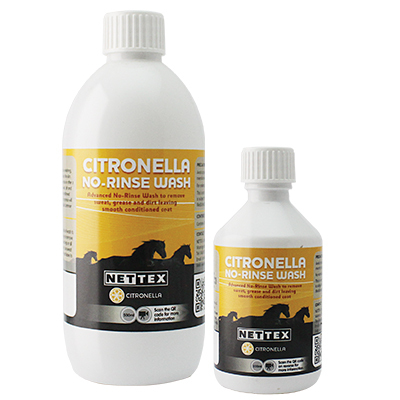 Citronella No-Rinse Wash is ideal for use during summer months to wash horses off, leaving the zesty fragrance of citronella. 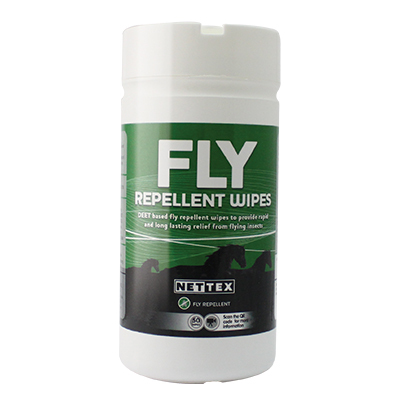 Nettex Fly Repellent Advanced is a highly effective formulation giving long lasting protection even when there is a high challenge. 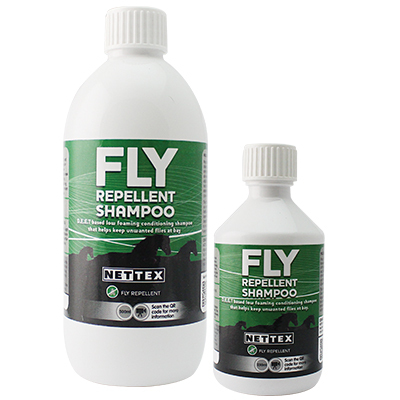 Nettex Fly Repellent Shampoo is D.E.E.T based and designed to coat the hair to give extra protection. 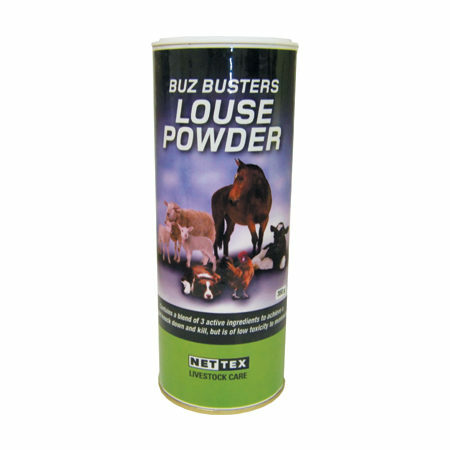 Gives added protection when used in conjunction with Nettex Fly Repellent Standard or Nettex Fly Repellent Advanced. 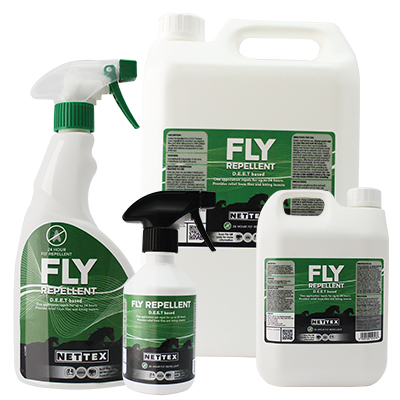 Nettex Fly Repellent Standard is a highly effective D.E.E.T based repellent that won ‘Best in Test’ in Your Horse July 2013 Issue. 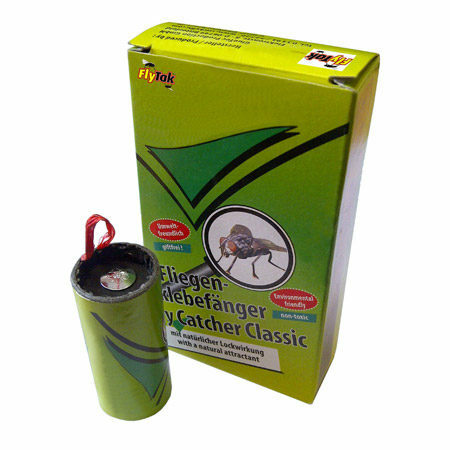 Provides protection against flying insects and biting midges. 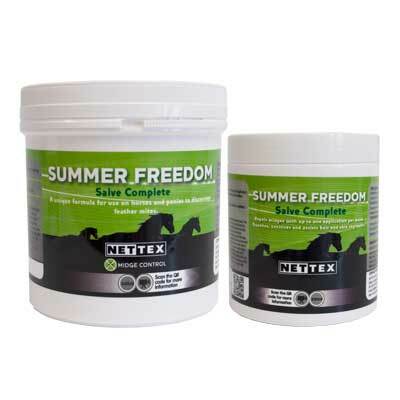 Nettex Itch Stop Salve Summer Freedom repels midges with up to one application per week. 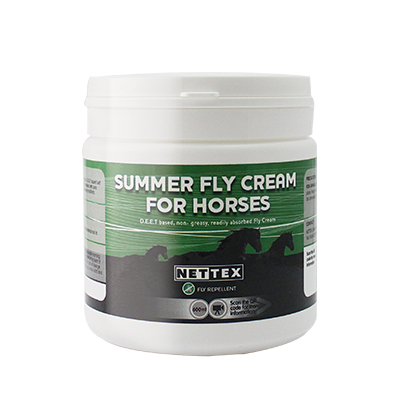 Nettex Summer Fly Cream is a highly effective formulation ideal to protect sensitive areas from flies. 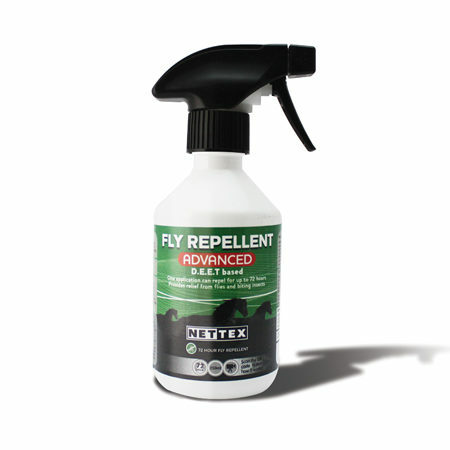 For added protection, use in conjunction with Nettex Fly Repellent spray or Nettex Fly Repellent Shampoo.